Taking a staggering 100 hours and using 5,554 toy cars, talented model maker Jay Sheppard has made a life-size model of Cars 2 race car, superstar, Lightning McQueen. 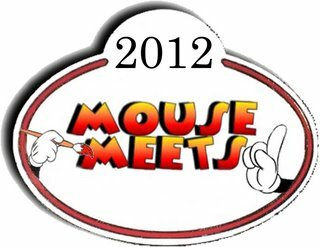 Once again the team over at Disney Brit will be bringing the Disney magic to the Copthorne Hotel in the centre of Birmingham from Saturday 5th – Sunday 6th May 2012 for the bigest and only Disney Convention in the UK – Mousemeets 2012. The event will bring together Disney fans from all over the country in two days of Disney fun, laughs and games. Birmingham proved to be such a popular location last year that they are to return once again. Tickets for the event will go on sale from 10am Sunday 1st January 2012 and will be availble from disneybrit.com. Tickets prices are £20 for adults £15 for children aged 4 – 13 and under 4s free. At this moment they can’t give specifics on the events planed but rest assured, if last years convention was anything to go by, next years will be beter than ever! But we have been told to expect the return of Pin Trading (and Vinylmation trading), movies, quizzes and lots, lots more. The Cambridge Disney store is shutting up shop and leaving town after 15 years, prompting fears others will follow suit in the difficult first few trading months of the year. The Petty Cury shop is closing on the 15th January after negotiations with the landlord, believed to be over rent, broke down. It comes as retailers brace themselves for the notoriously tough first few months of the year, with gloomy economic forecasts and uncertainty over the eurozone likely to compound wavering consumer confidence. A source, who speaks regularly to shop workers in the city centre, said they were worried about the future. John Bridge, of the Cambridgeshire Chamber of Commerce, is more positive saying the city is one of the best retail performers in the country. He said: “Everyone knows and understands that the first few months of 2012 are going to be the most challenging but what people have to remember is that Cambridge and the surrounding areas are still performing very well when compared with other parts of the country. He added: “One always regrets the demise of any retail store but businesses, often successful businesses, have to make difficult decisions to protect the wider business.” He warned that landlords need to be careful about how much they demand for rent. Disney Store did not give precise date for closure, but staff said they thought it would be January 15 and that the problems were due to an argument over rent. A spokeswoman said: “Following the expiration of our lease and negotiations with our landlord, Disney Store can confirm that we are closing our store in Cambridge. She could not tell The News how many people were employed at the store and it is unclear how many will want to travel to their nearest stores, which are both at least 50 miles away. An 18-year-old man has been stabbed to death in London, on one of the UK’s busiest shopping streets. The man died outside the Foot Locker sports shop on Oxford Street, near the junction with Stratford Place. The area around the sports shop where the death happened was sealed off and several shops in the near by area were forced to shut early because they were inside the police cordon. An employee at the nearby Disney Store said the company’s outlet had been “quite badly affected” and was “unlikely to open again today”. The incident happened as tens of thousands of people hunted for bargains on the shopping street, during what was a busy day for Boxing Day sales across the UK. Police said there had been a second stabbing on Oxford Street in the evening, but said it was too early to confirm whether or not the two incidents were connected. Det Ch Insp Dunne, of the Metropolitan Police’s homicide command, told journalists there was no suggestion the earlier, fatal incident was gang related, but he was “not going to discount it”. He said it was still not clear whether the incident had happened inside or just outside the Foot Locker store. Police were still trying to work out exactly what had happened, he said. “This is probably the busiest place in the UK right now, on the busiest shopping day, so it’s been difficult for us to piece together what has happened.” He urged witnesses to come forward. Police said the second stabbing on Monday took place close to the junction of Oxford Street and Regent Street. They said a man, thought to be in his 20s, had been stabbed at 18:20. He had stab wounds in the legs and was taken to hospital. His condition is not thought to be life-threatening. 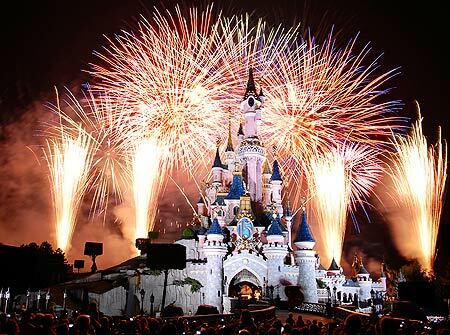 Disneyland Paris are running a flash sale of up to 50% off your stay for bookings made by the 20th December for selected arrival dates until 6th February 2012. For more information visit the Disneyland Paris website. 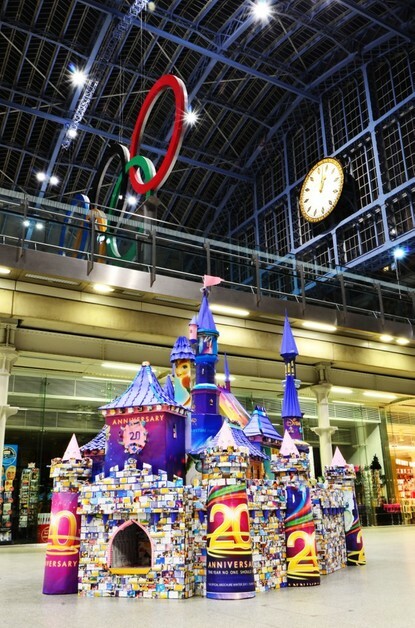 An origami sculpture of Sleeping Beauty’s castle was unveiled at St Pancras International last weekend. The scaled-down artwork took paper artist Paul Jackson more than a month to plan and three weeks to build and was made entirely from pages from the new Disneyland Paris travel brochure. The three metre tall sculpture contains more than 5,000 individually folded origami cube ‘bricks’ and took 50,000 folds of paper to complete. It will be in place over the weekend of the 8-10 December before being moved to the FirstChoice Superstore in Crayford, Kent where it will be on display from 11th December until late next year.